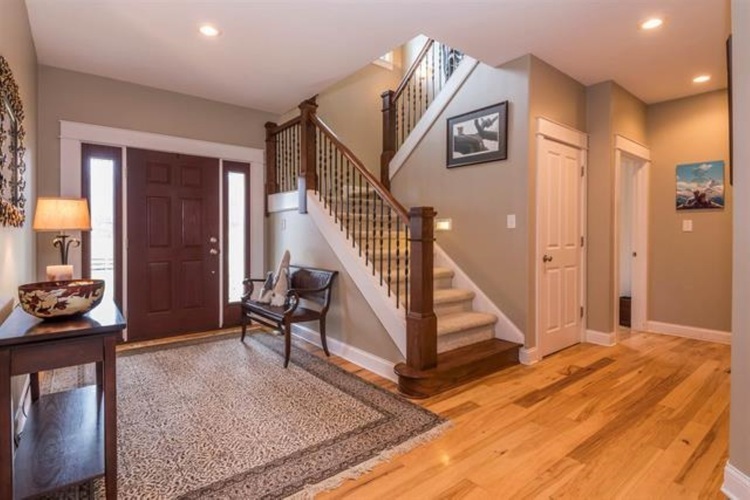 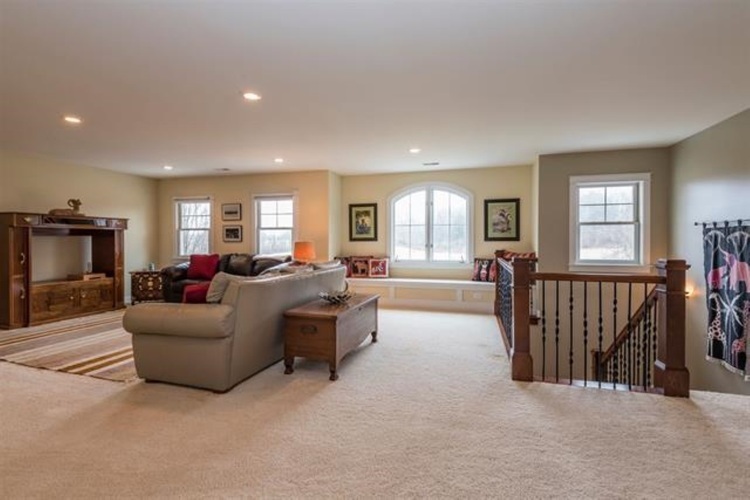 A long private drive leads to this spectacular and secluded custom-built 2-story home over an unfinished basement. 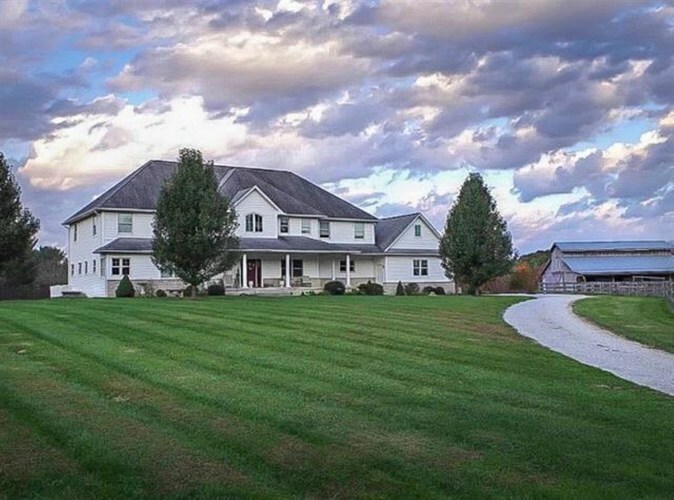 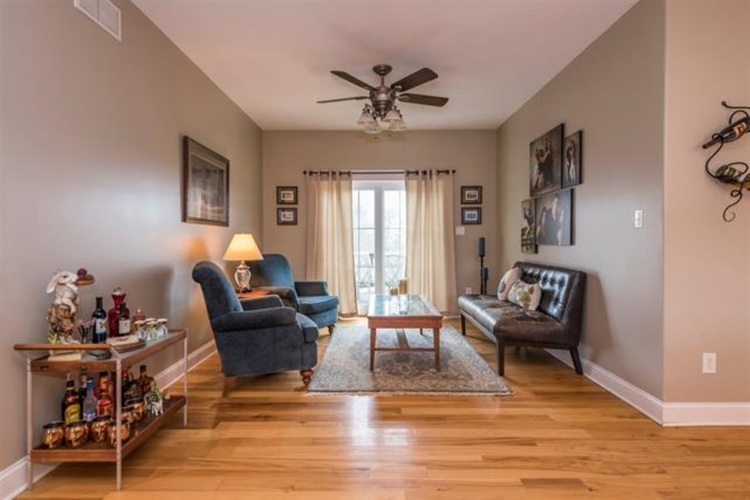 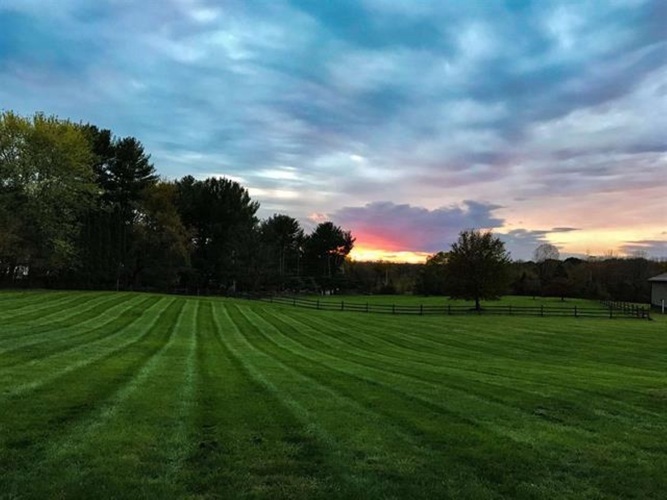 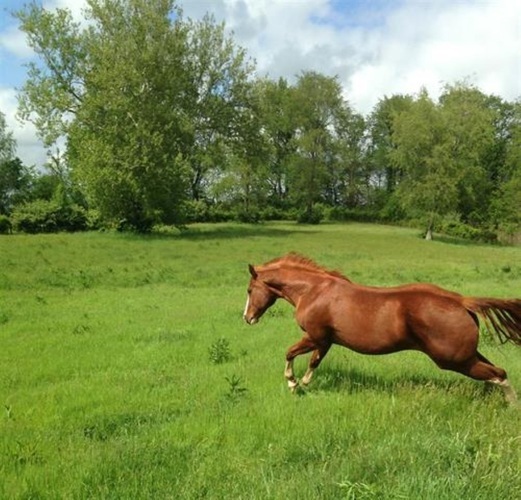 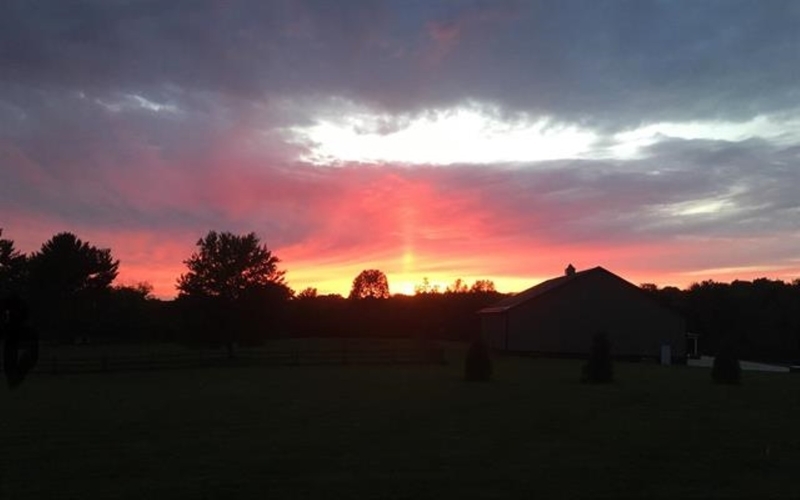 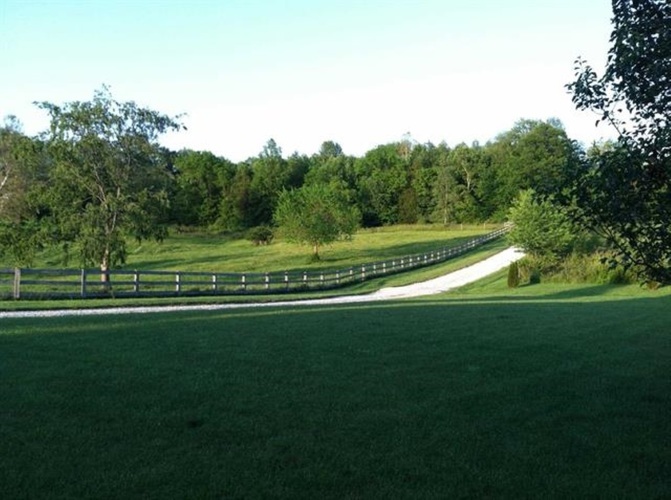 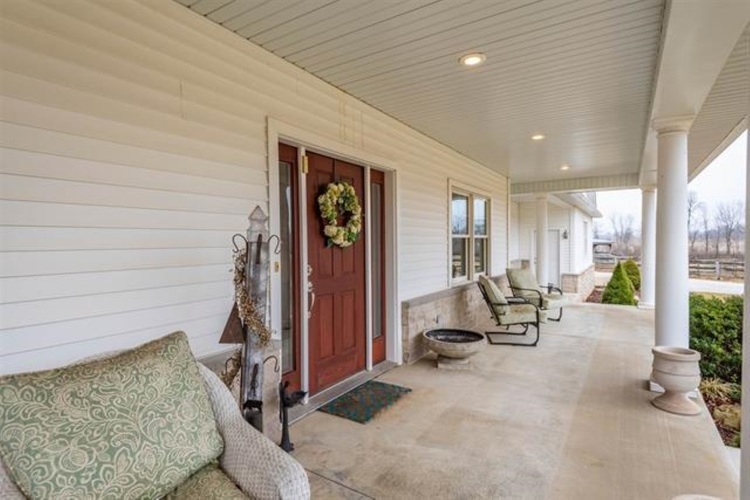 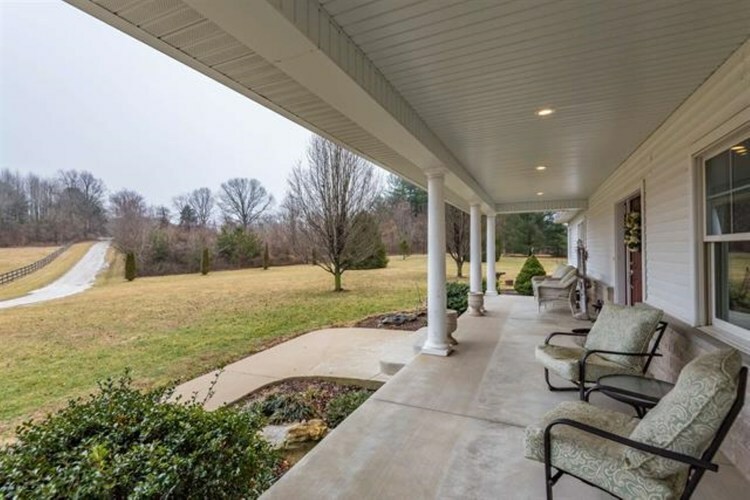 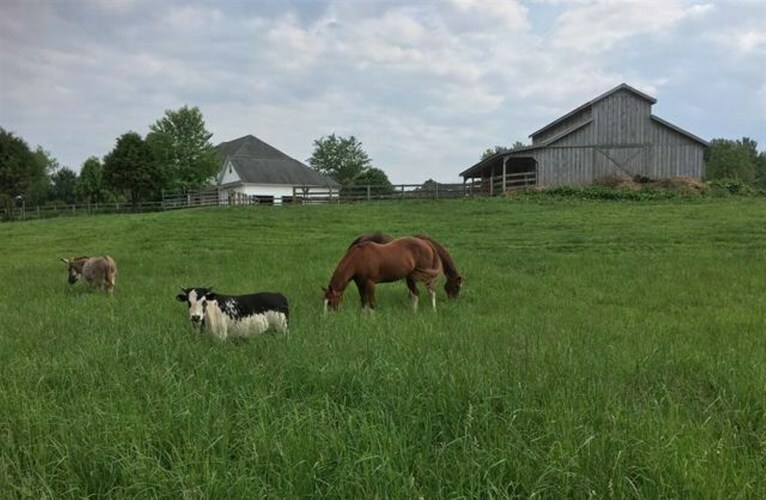 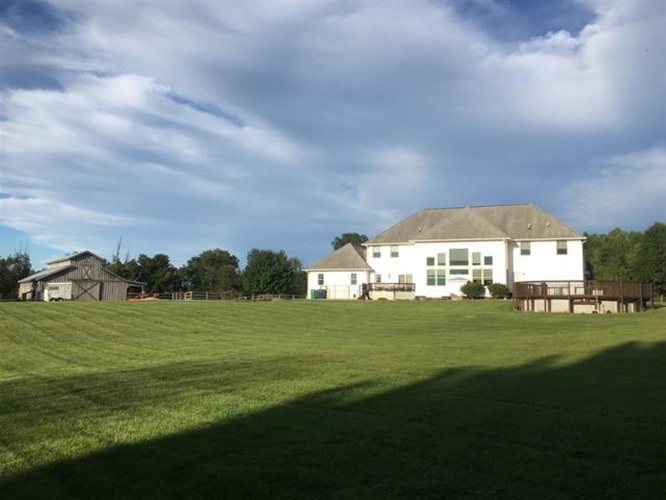 The home is set back from any public roads, across green pastures lined with trees and is situated on 8 acres at the end of the lane; just minutes North of Griffy Lake and IU. 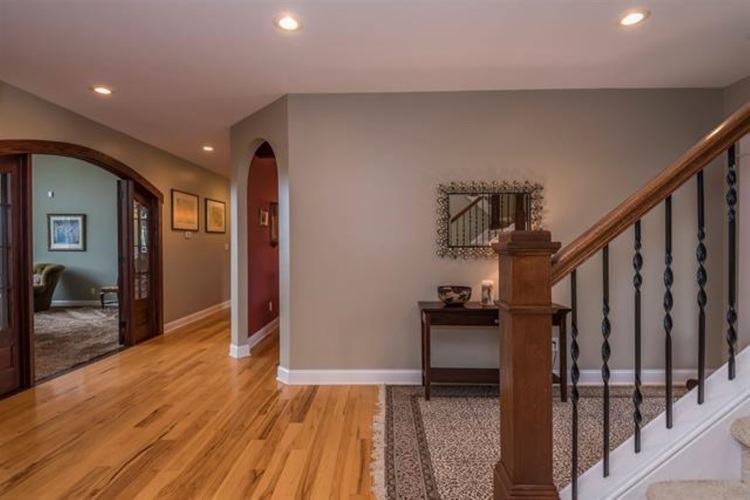 This stunning home was built in 2004 and is beautifully appointed with an open foyer, high ceilings and hardwood floors. 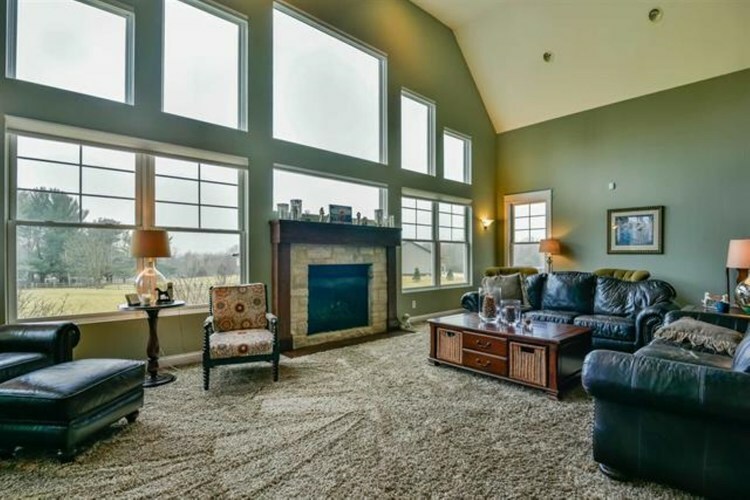 The great room features a cozy fireplace surrounded by a wall of floor to ceiling windows and an abundance of natural light. 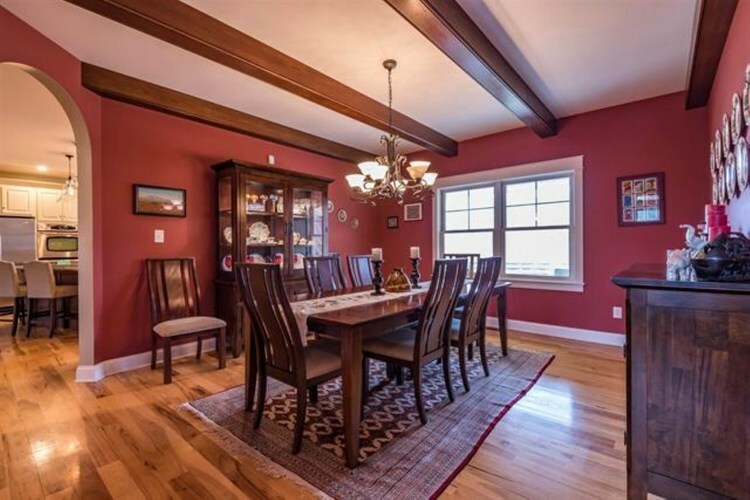 The formal dining room is complemented by beautifully crafted wood ceiling beams for architectural interest. 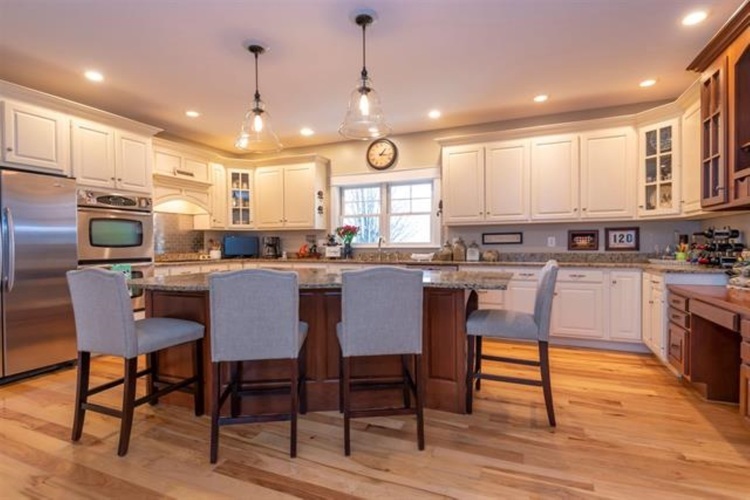 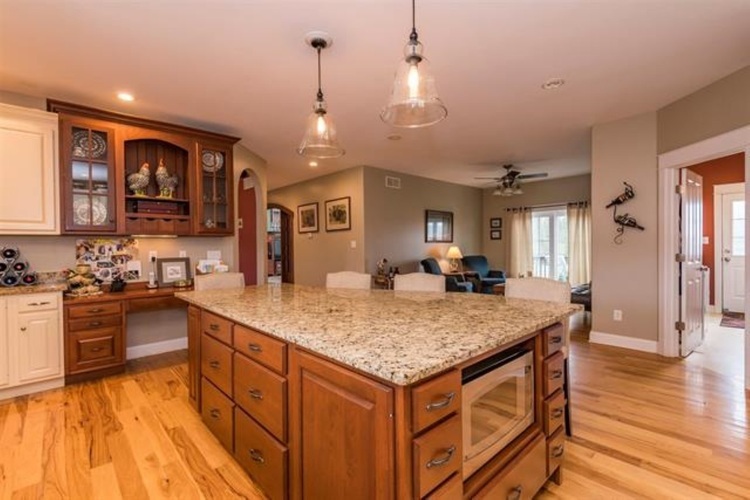 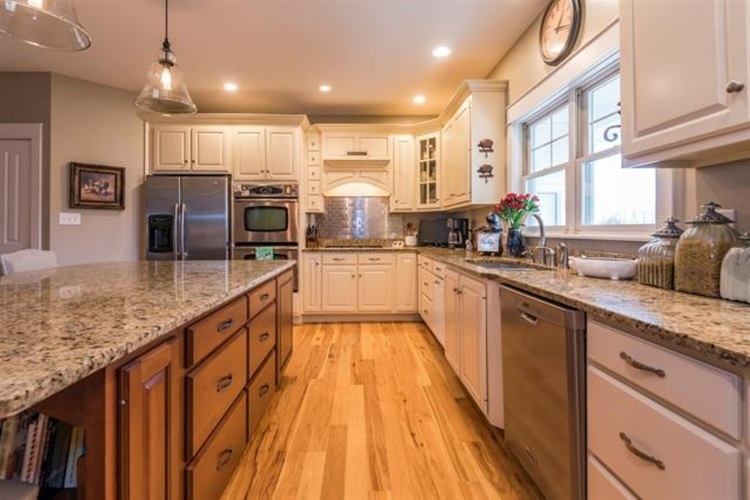 You will love to cook in this gourmet kitchen complete with Ferree cabinetry, ample granite counter space, large center island with a breakfast bar and stainless steel appliances including a 5 burner cooktop and a double oven. 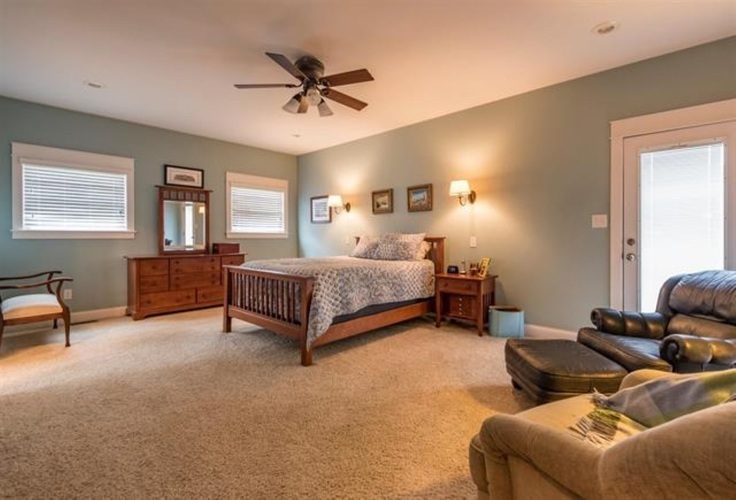 A tranquil hearth room opens to the kitchen and the back deck. 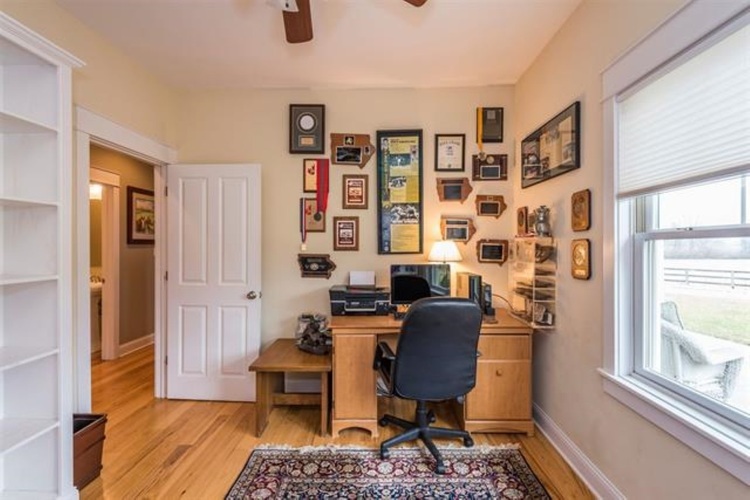 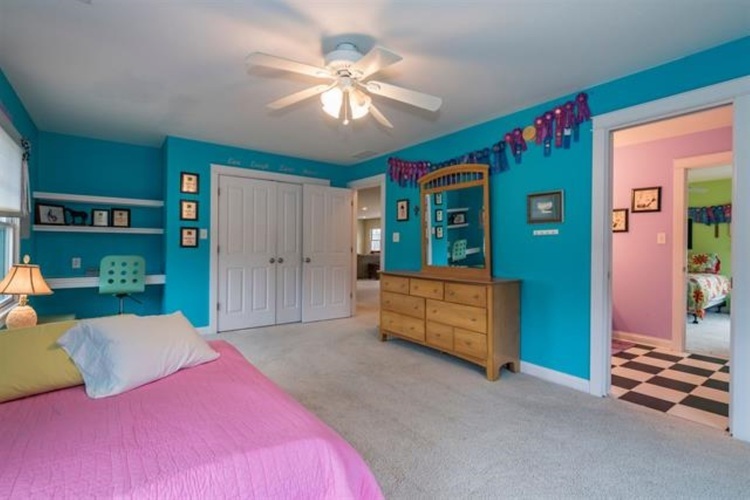 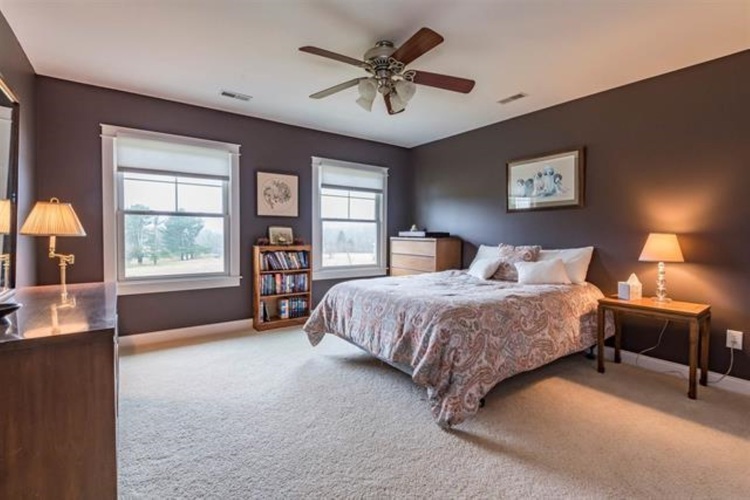 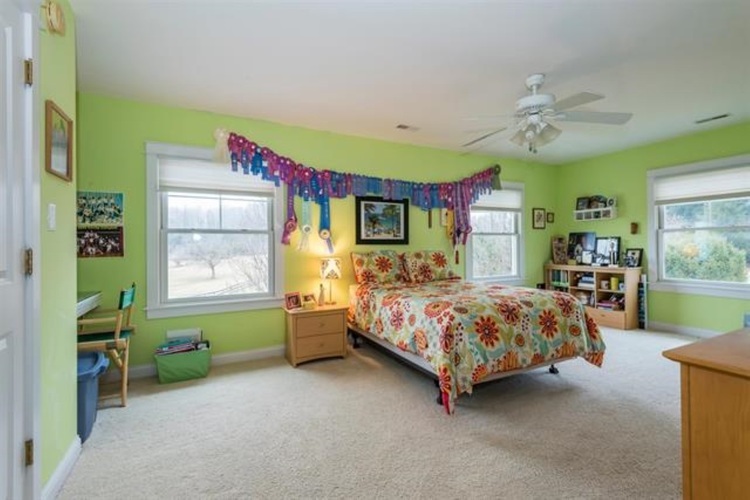 There is a spacious master suite and an office with built-in bookshelves on the main level. 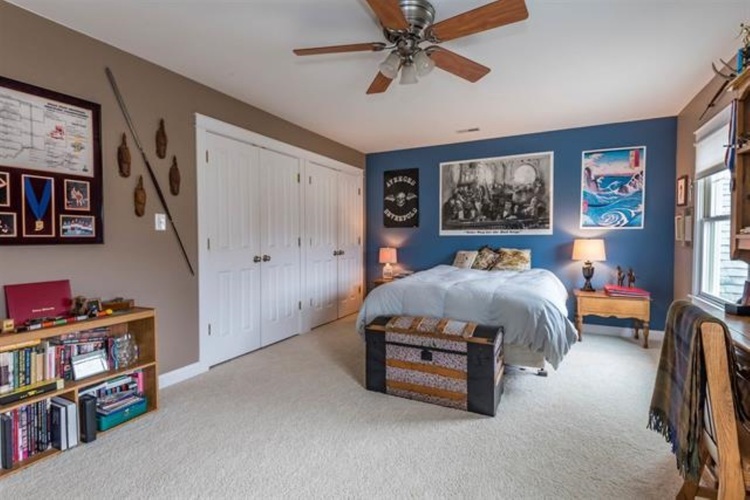 The master suite is in its own wing and is the perfect place to retreat, complete with a private deck off the sleeping area. 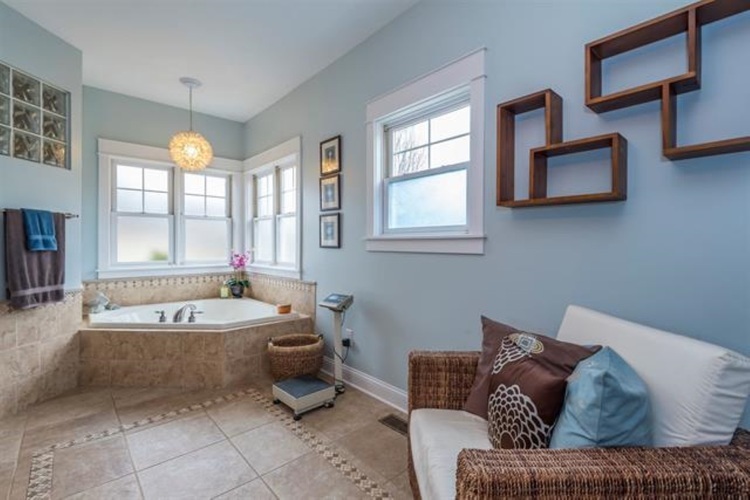 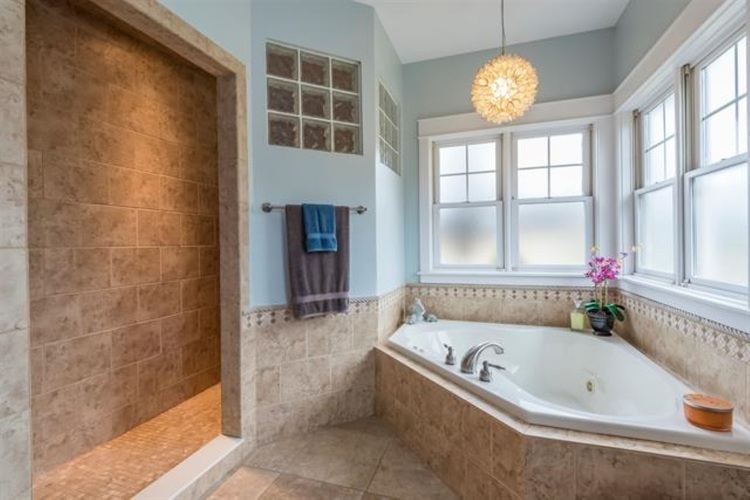 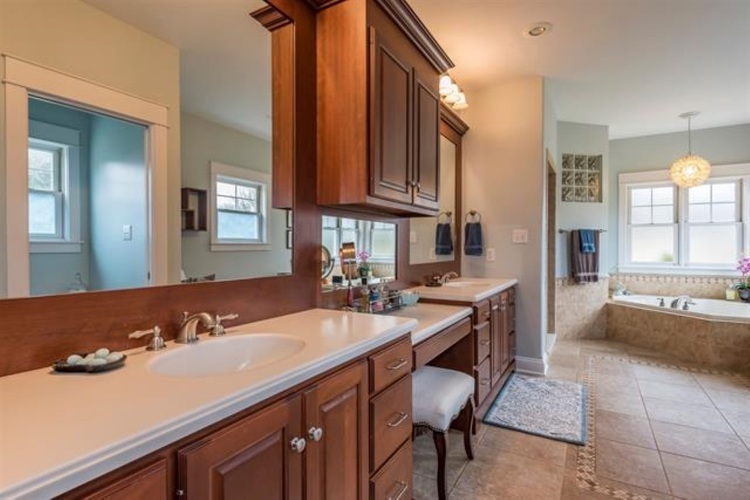 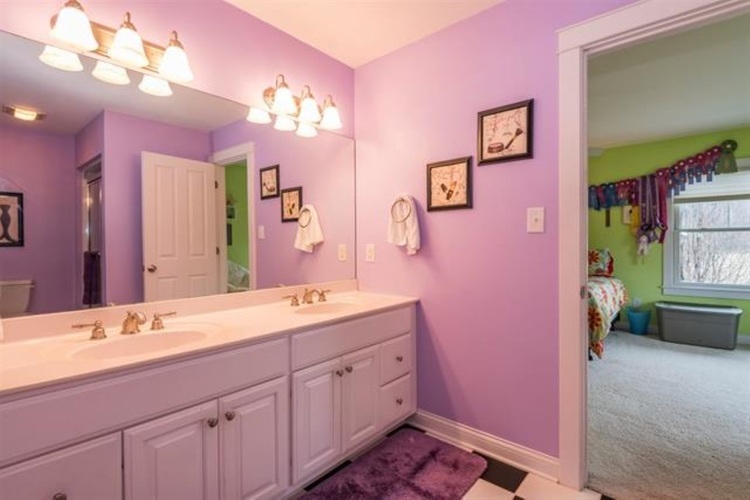 The warm master bath has rich wood vanities with a sit down make up area, double sinks, a walk-in ceramic tile shower with double heads and a garden jetted tub. 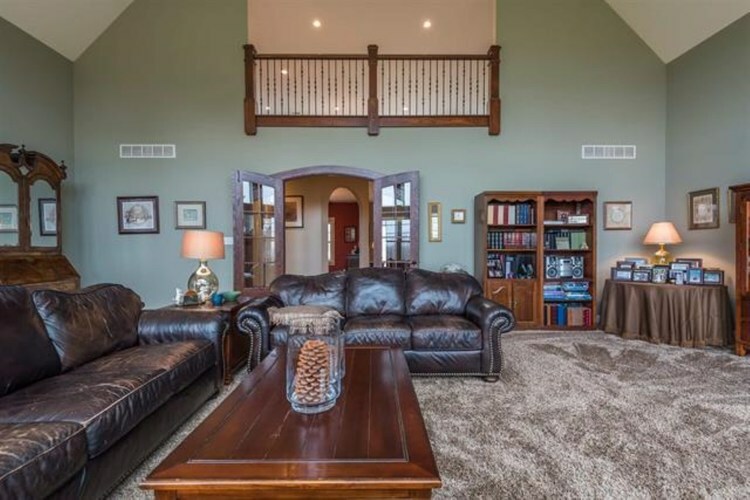 Other amenities include a huge upper level family room overlooking the great room below. 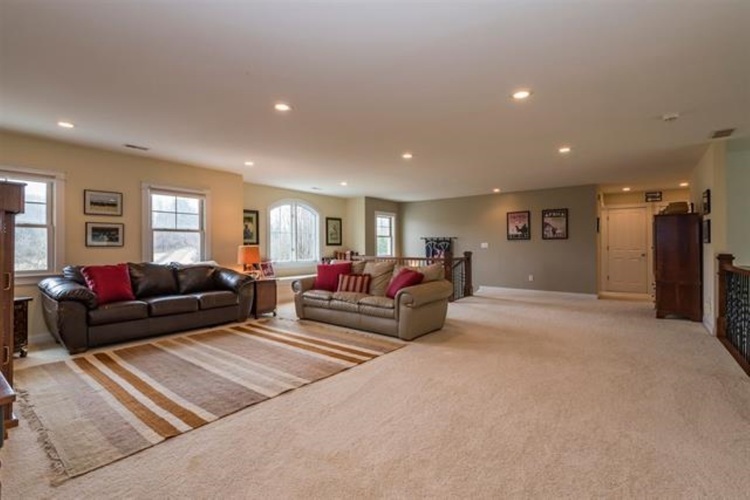 Four upper level large bedrooms and two baths. 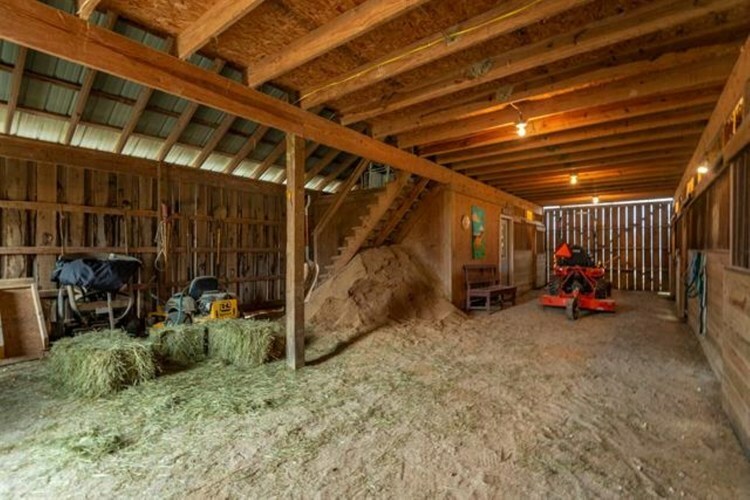 There is plenty of room for additional living space in the unfinished (with half bath) basement. 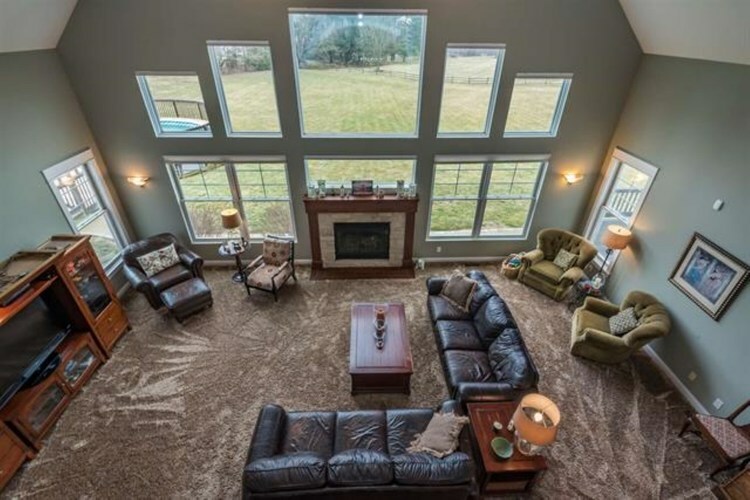 The almost 7000 square foot home is perfect for entertaining. 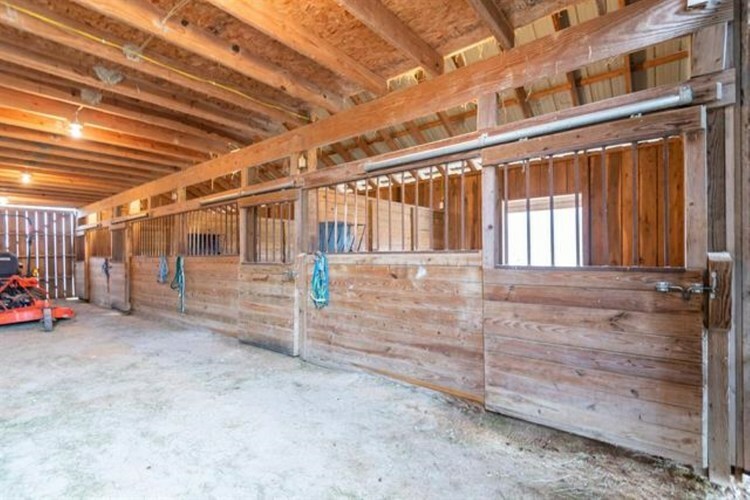 Outside you will find a 1700 square foot rough hewn wood barn with five separate stalls for the animals and a loft for the hay. 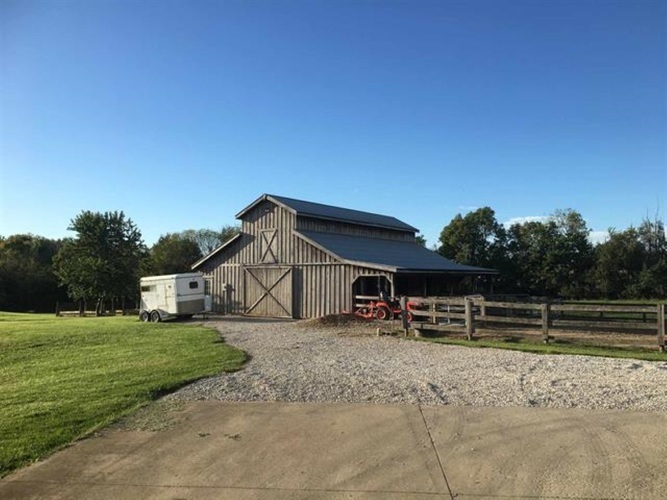 A soft ambient sound of animals; currently horses, cows and Skip the adorable donkey, breathing deeply as the outside breeze gently embraces the rustic structure. 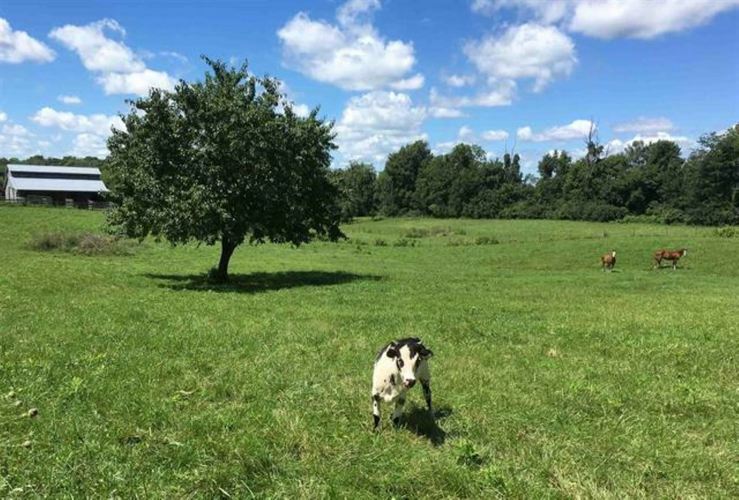 This hard to find property is close to town but with a rural pastoral feel of the country…ready for you to move right in and enjoy! 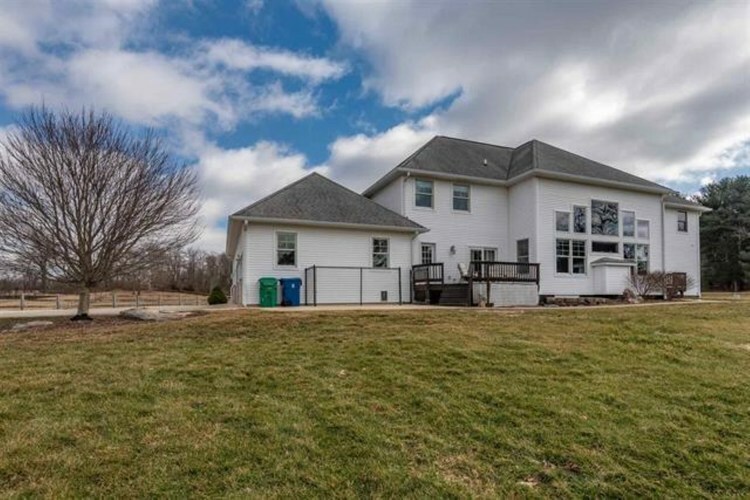 Directions:North on Walnut Street, Right onto N Old State Highway 37, Left on Northcliff Ave. Property is at the end of the road.